This book has been revised and updated, as of September 2011. 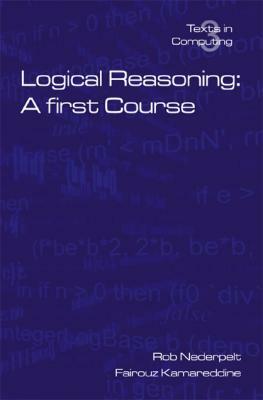 This book describes how logical reasoning works and puts it to the test in applications. It is self-contained and presupposes no more than elementary competence in mathematics. The first gives a general introduction to logic and the methodology of logical calculations as coined by the computer scientist Dijkstra and his group at Eindhoven. In this book we develop an easy and perspicuous method to work with these calculations, using a format which also provides arguments for the validity of the calculation. The second part presents another method for logical derivations, the so-called reasoning, being a form of what is known as natural deduction. Again, formality, correctness and transparency are the main issues. We use a special notation for hypotheses in proofs, as was used by the mathematician de Bruijn and his Automath group at Eindhoven in the first theorem prover which checks books of mathematics. The third part deals with applications of logic in different areas, in particular: sets, relations, mappings, numbers and structures, and ordered sets. In this part, the power of logical proofs is put 'to work'. One can now use calculations, reasonings or an intelligent mixture of both styles in order to reach one's goal. The different proof techniques known under the name 'induction' are also discussed in this part. Throughout the book, methods and concepts are illustrated with ample examples and there are further exercises which help to sharpen the skills.